Super Comfy Jersey Pants from Made in Italy Clothing. The Made In Italy Didcot Jersey Pants are crafted from a super soft Cotton mix fabric and feature a drawstring tie to the waistband. We have finished these pants with a fold over detailing to the legs, allowing for the perfect fit. Great lounge pants that are still stylish! These are a slightly looser fit that the Didcot Plain Pants. 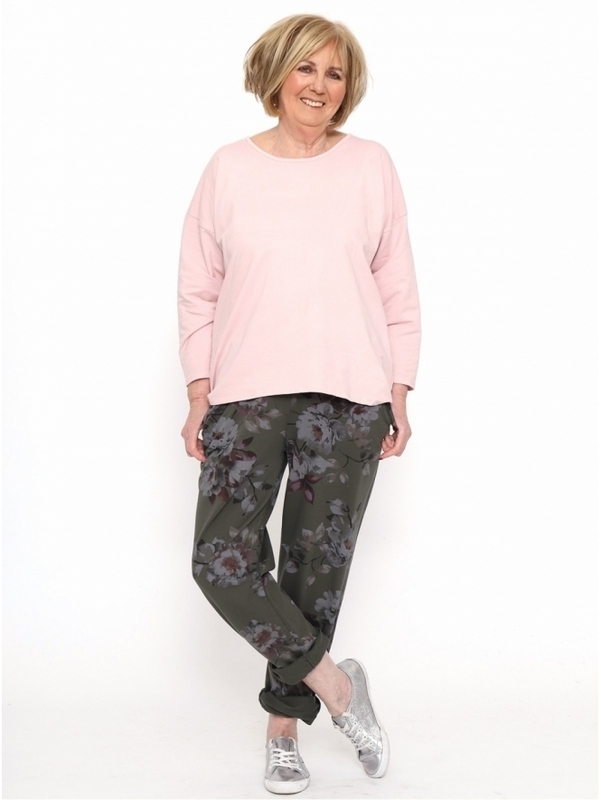 Showing our 2 Made in Italy Didcot Floral Jersey Pants reviews with an average rating of Excellent. Would you like to write a review? I have two pairs of these in grey and charcoal and have had lots of great comments. They are so comfy and easy to wear. These are fabulous !!! Lovely soft cotton - generous rise to an elasticated waist - I have the navy and blue. Did send for the plain colour as well when they were in stock but found these to be much shorter in the leg so no good for me. These are a good length - I am 5' 6" - another winner Kit and Kaboodal!! !